COMING HOME: Children from Siraha at Darbhanga Children's Home in Bihar a day before they were rescued. 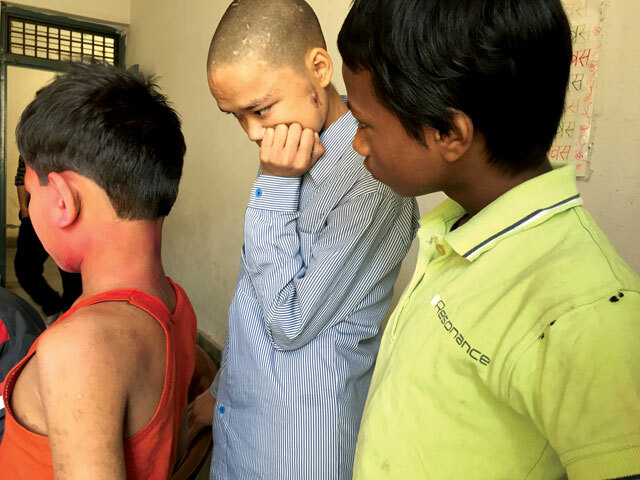 When a rescue team from Nepal descended on Darbhanga Children’s Home in Bihar looking for trafficked children they found grimy bedrooms, a filthy kitchen, the pungent smell of toilets and children who hadn’t bathed in months. At another location, Nirdesh Bal Griha in Muzaffarpur, most of the 13 children had skin problems and complained of physical abuse. 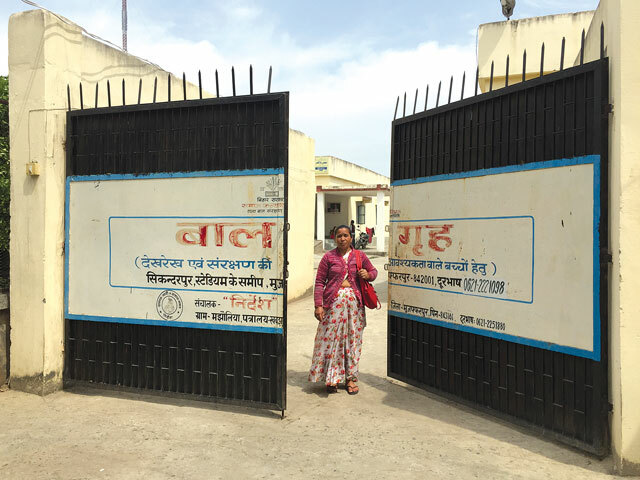 Another child, Parvati Kumari Paswan, 16, from Mahottari, was confined for three years at Sewa Sankalpa Girls Home in Muzaffarpur. Rescued children enjoy carom board at ChoraChori Nepal's Rescue Centre in Godavari. In total, 33 Nepali children were rescued by ChoraChori Nepal and the Central Child Welfare Board (CCWB) Nepal from Muzaffarpur and Darbhanga. Twenty-seven of them are from Tarai districts, mainly Siraha. The Tarai has been engulfed in political turmoil for almost a decade. The current dispute over Province 2 has brought even more instability, causing people to lose jobs because of prolonged political unrest and schools to be disrupted so that students quit studies to become child workers in Indian cities. Raja Ram Sada was just four years old during the first Madhes Movement in 2007. It brought to power Upendra Yadav of the Madhesi Janadhikar Forum, now the Federal Socialist Forum Nepal, who went on to become Foreign Minister. Sada became a child worker in India. His school remained shut for almost a year after the 2007 agitation, and he never returned to class. He is now 14, and preoccupied with earning money to support his family, whose situation has worsened with the unrest. Ratna Bhatta of Bardiya at Nirdesh Bal Griha in Muzaffarpur to receive her son. Sada was only 13 when he crossed the border to work in India, taking a train from Jainagar to Darbhanga to go to the western state of Gujarat. But he was caught by police in Darbhanga before he could change trains and was handed over to the government-run shelter. “My parents had no source of income. So, I went to India to earn money to build a house for them. I was convinced my parents wouldn’t be able to do that,” says Sada, who was kept at the Children’s Home for six months. Bihar shares its border with 12 Tarai districts. While children like Sada voluntarily cross the porous border, traffickers take advantage of widespread poverty to lure others into India. In fiscal year 2015-16, 1,502 Nepali children were reported to have gone missing and only 408 have been located to date, according to the National Centre for Children at Risk, in Bhrikutimandap, Kathmandu. 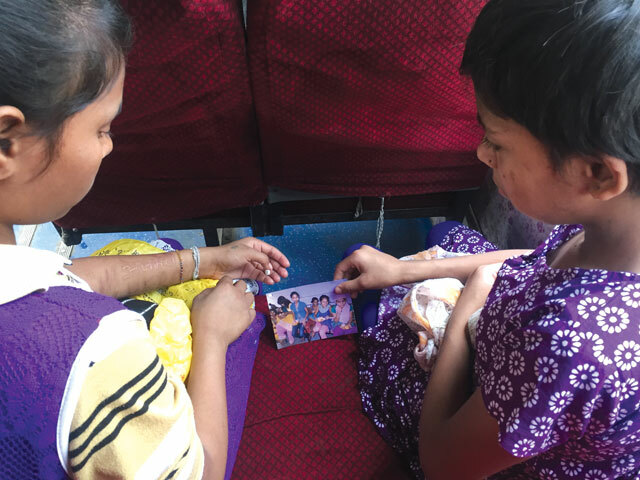 Parvati Kumari Paswan (left), rescued from Sewa Sankalpa Girls Home in Muzaffarpur, shows a photograph of her friends to a girl as they return home. Children at Nirdesh Bal Griha in Muzaffarpur listen carefully as a CCWB official questions them. Many children who work in India face abuse from employers while those taken to shelter houses are often kept in inhumane conditions. Namuna Bhusal of CCWB, who was in the rescue team, says a process is needed so that the Nepal government can keep track of Nepali children in Indian shelter houses. 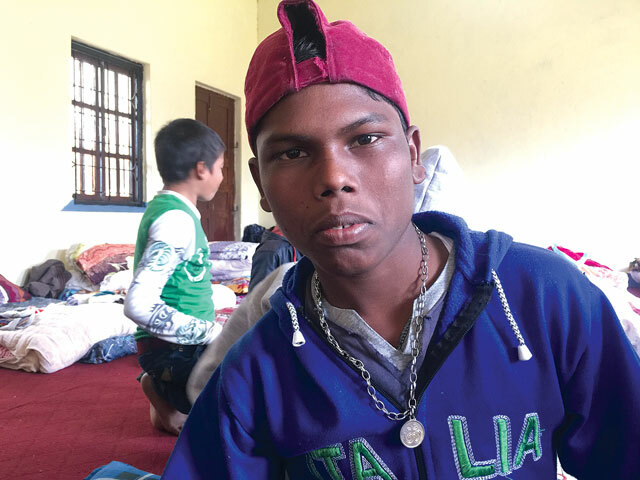 Arun Kumar Sada, 15, and seven others from Siraha district were travelling to work in a pizza outlet in Ahmedabad one and a half months ago. All of them were arrested at Darbhanga train station and sent to Darbhaga Children’s Home. Most of them are below 16. Arun Kumar had already worked in India before he was detained. The boy left his studies following Grade 5 because of financial difficulties after his father lost his job as a resut of the Tarai unrest. Father and son travelled together to India to find work. 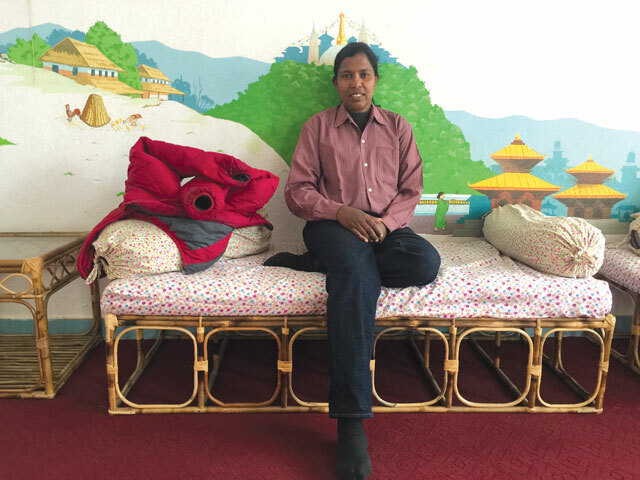 ChoraChori Nepal has traced the families of both Raja Ram (see main story) and Arun Kumar, who will be repatriated soon, but the boys don’t want to go back to school or stay in the village. They say they have to support their family financially. Many children fear going back, but Hasibul Nadaf of Dhanusa is very excited about returning home. Having worked in hotels in India for months and been confined at Darbhanga Children’s Home for five months, he has now realised the value of studies and family. “I will never run away from home now. I want to go back and continue my studies,” says 14-year-old Nadaf, smiling. The rescue of 33 Nepali children from various shelter houses in Bihar, India, got all the media attention last week, but very few people know about Shaijala CM, the hero behind the scenes. This is the biggest rescue CM has done in her 17-year career, yet she remains extremely humble. Born as the sixth daughter in a lower-middle-class family of 11 in Trivandrum, Kerala, CM left nine years of religious life as a nun to move to Nepal, after dreaming of working for trapped children. Arriving here in 1998, she has never returned, and has already rescued more than 900 trapped children from Indian shelter houses and circuses. CM recalls the rescue of 23 girls from a Christian organisation in Tamil Nadu in 2011 as one of the most challenging operations in her life. “The Tamil Nadu government put me under house arrest for two days and I didn’t receive support from the government in Nepal either,” says the 45-year-old. She even got death threats once the children were brought to Nepal. Despite that experience, her fight for child rights continued. Working in collaboration with police, she has been able to send 18 child traffickers behind bars. 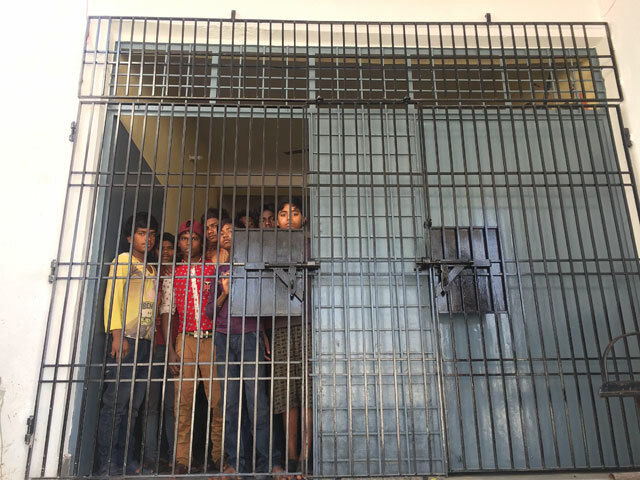 Rescuing Nepali children from Indian shelter houses and circuses is not easy because of a lack of coordination between the governments of Nepal and India. Before rescuing the children languishing in shelter homes in Bihar, CM held rounds of meetings with local child welfare councils and brought the CCWB of Nepal on board. Her dedication has given many children new starts. 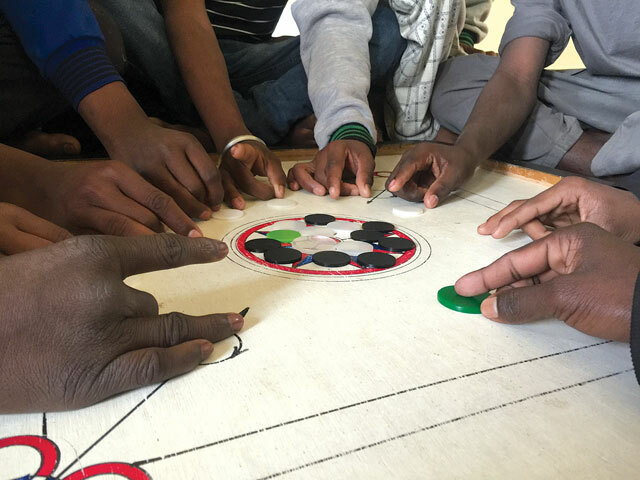 They have able to return to school and many have been repatriated with families after years. “I can go to any extremes to rescue children locked up inside high walls,” says CM, who has adopted two children who were abandoned by their parents and wishes to acquire Nepali citizenship for their sake. "The airline develops if the country develops." Take the guesswork out of gift giving with these great finds.